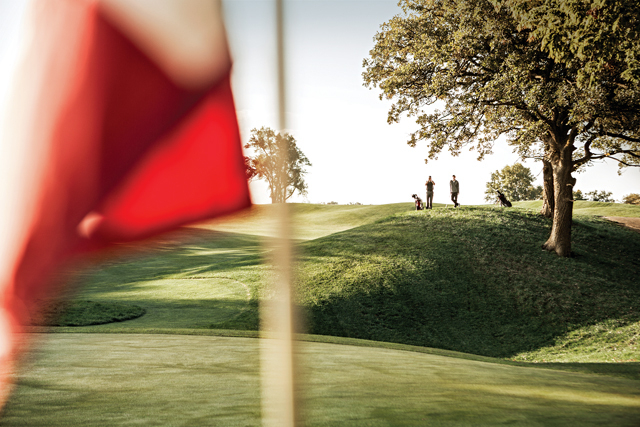 Customization in golf is all the rage. Drivers have ability to reposition weight and adjust the loft so ball launch tendencies can be customized to suit a particular player. Manufacturers even make golf balls with a range of spin characteristics from tee to green, so why not a customizable laser range finder? 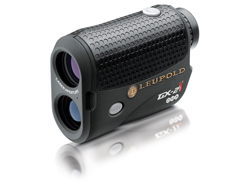 Enter the Leupold GX-2i2. It is customizable to the user and adjusts the straight line measured yardage to a target by taking into account air temperature and altitude plus the amount the shot is up hill or downhill. So in addition to the straight line distance the newest of the Leupold laser range finders also gives the “plays like” yardage. Then, after the user enters how far he or she hits three different clubs, the GX-2i2 even makes a suggestion of the proper club for the “plays like” distance plus shows when the distance is between clubs. Remarkable to say the least. Now, I have a confession. Contrary to the extended testing period inherent in the title “10 Rounds With…,” I am writing this after only two rounds with the Leupold GX-2i2 and the reason is simple. It’s great. It does all its’ supposed to, quickly, efficiently and though I may not be the brightest bulb in the box it was evident from the first try this is a serious well-made piece of golf technology. I could have written this after the first nine holes, the GX-2i2 is that good. GX-2i2 is the new model for 2016 from the family owned Leupold & Stevens, Inc., makers of high quality distance measuring devices and retails for $430. 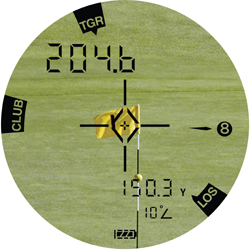 Yardage is measured very quickly and, what Leupold calls PinHunter 2 Laser Technology, doesn’t seem to pick up the trees behind the green, a nasty habit with some laser rangefinders. In the scan mode distances are shown as the crosshairs move across an area, a feature that’s especially handy when the shot requires a carry over water or a bunker. The unit is light, weighing in at less than seven ounces, and compact in size so it fits the hand comfortably. And in case you are asking, the GX-2i2 is “legal” under the Rules of Golf if there is a local rule allowing the use of distance measuring devices and it is not used in the slope compensating mode. I know it’s early to be thinking about Mother’s Day and Father’s Day but this makes a great gift or you could treat yourself to one to celebrate the opening of the new golf season.